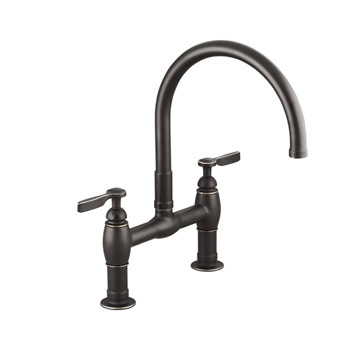 Kohler's Parq series works off of a deck mount construction. 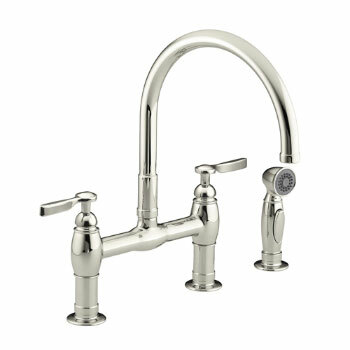 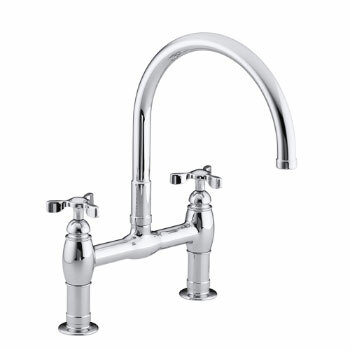 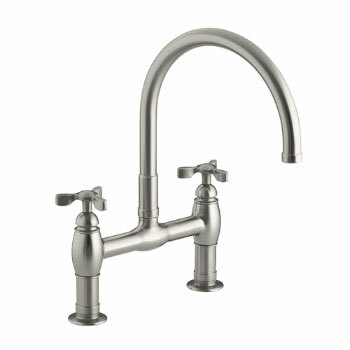 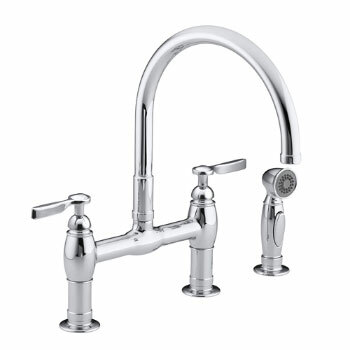 Offering faucets with side spray attachments in a multitude of finishes the Parq collection delivers a conservative and functional package in a swan like design. 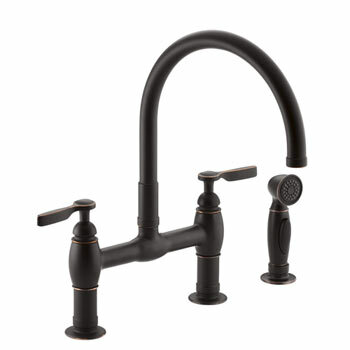 Select the Parq series to add some uniqueness and charm to the kitchen. 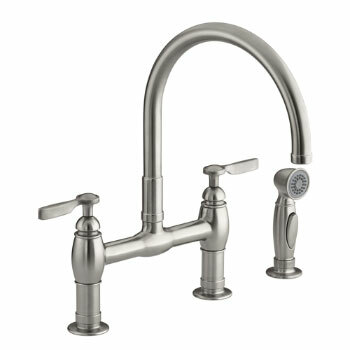 Parq bridge faucets feature a fresh interpretation of the classic traditional bridge configuration, incorporating lines that both reinforce the heritage of this aesthetic and yet are clean for ease of maintenance. 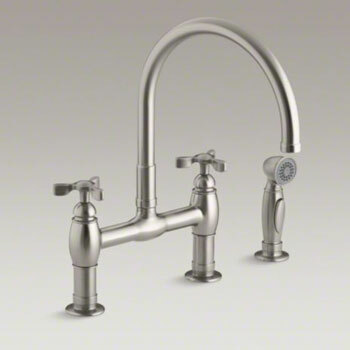 Functional performance remains at the heart of the Parq design with generous spout clearances and with lever or tri handle options that introduce a level of uniqueness and charm to further personalize the users experience. 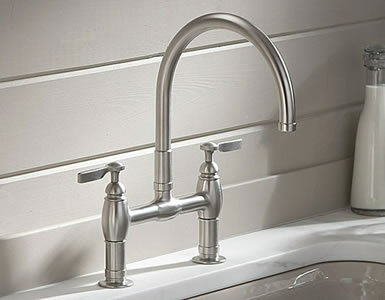 Parq is available in both deck- and wall-mount configurations with the further option of a design coordinated sidespray for the deck-mount configuration. 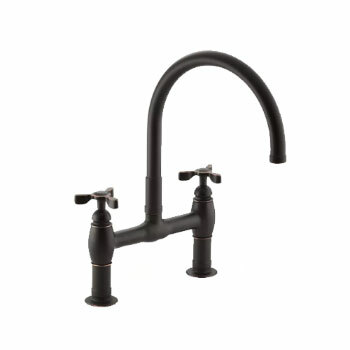 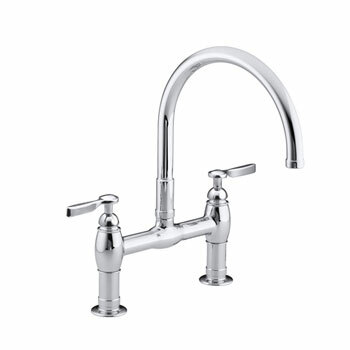 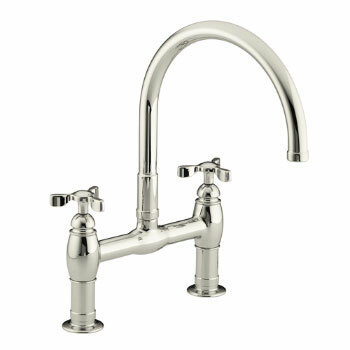 The Parq bridge faucet with lever and tri-handle options reflects a contemporary interpretation of traditional design. 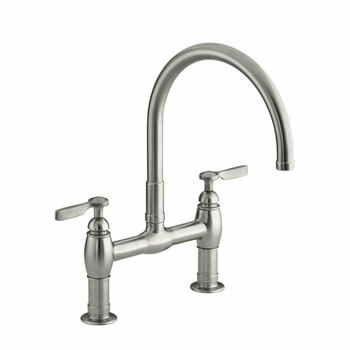 Its high arch and gooseneck spout offer additional maneuverability for handling large items.